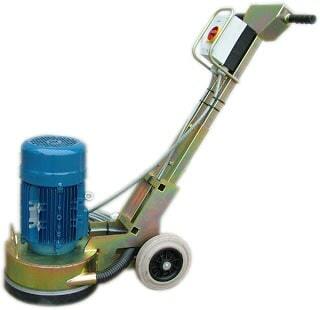 We launched our Sabre 300 floor grinder, it felt good to be producing our own floor grinding equipment again. Years ago we used to make all our own machines such as the FT250 scabbler, things changed and we started supplying ready made machines from another company. As the years have passed and PWM has grown in size, becoming more widely known across the flooring industry. Paul (the director) decided the time was right, during an economic depression that we would start designing and making our own machines again. 2 months later and the first of the Sabre grinders came to life, with a few months of design and prep work and trial and error, drawing from over 30 years of experience, listening to the feedback of hundreds if not thousands of customer and contractors in the flooring trade. Paul designed a grinder specifically for the flooring trade that would be durable yet affordable, powerful and effective while still making the design as bomb (contractor) proof as possible. The first design was ready for fabrication, orders where placed for all the tools, equipment and materials that we would need to make 5 machines. We were confident in the design and the quality of the materials selected, waiting for everything to arrive was exciting and slightly worrying at the same time. Finally everything arrived and we started assembling everything together, everything went together smoothly with the only slight hiccup was a different shaped motor was needed to fit into the chassis. Next came the moment of truth, we had a few questions running through our mind prior to testing, would it work? Would it be powerful enough? Would it be aggressive enough? We where presently surprised! Its powerful, its aggressive, its reliable and it works even better than we expected, needless to say we are very happy with our latest machine, a week after our final test we sold our first Sabre 300. We are so happy with the Sabre 300 we are starting design work on a smaller 220mm grinder and 2 larger 450mm and 600mm wide machines all in the same style and design as our original Sabre 300.